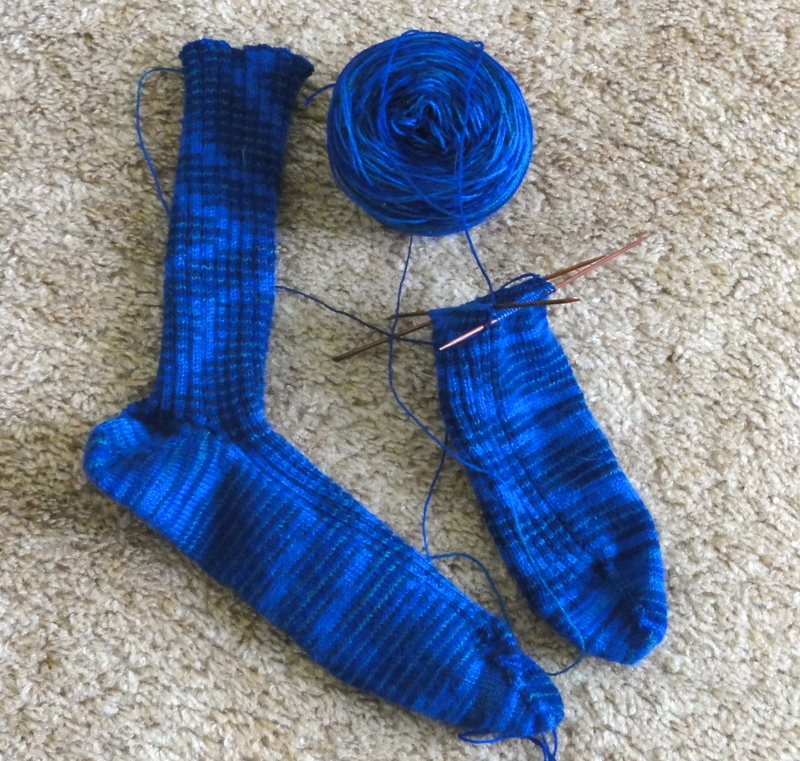 Yes, I’m still knitting, and spinning, too, but you wouldn’t know it from reading this blog because, well, there just hasn’t been any blog to read. I’m trying to get back in the swing of things. 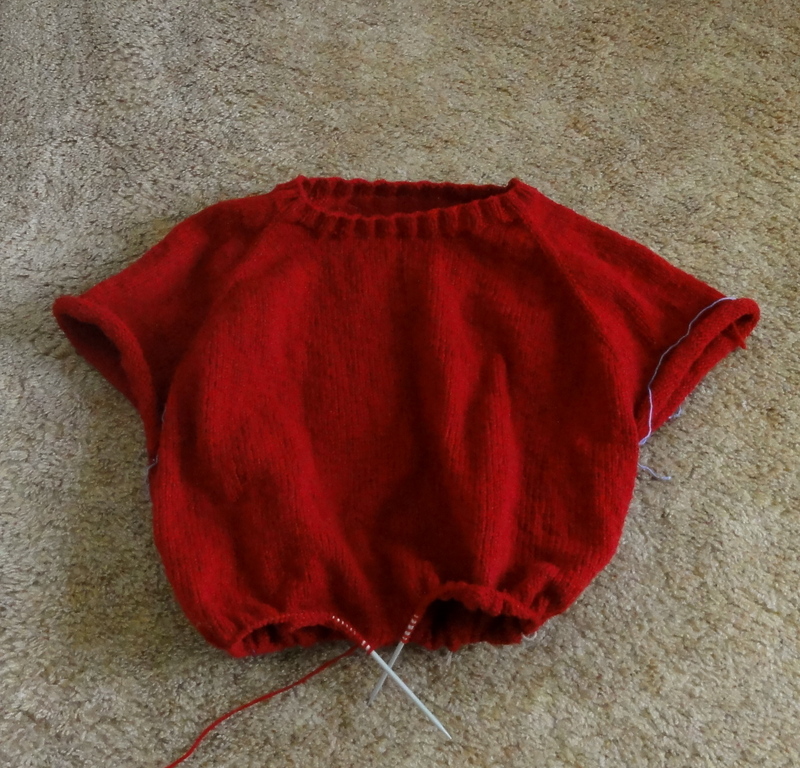 The Bayside Pullover is completed and fits its recipient perfectly. And don’t forget to check out Tami’s FO Friday. 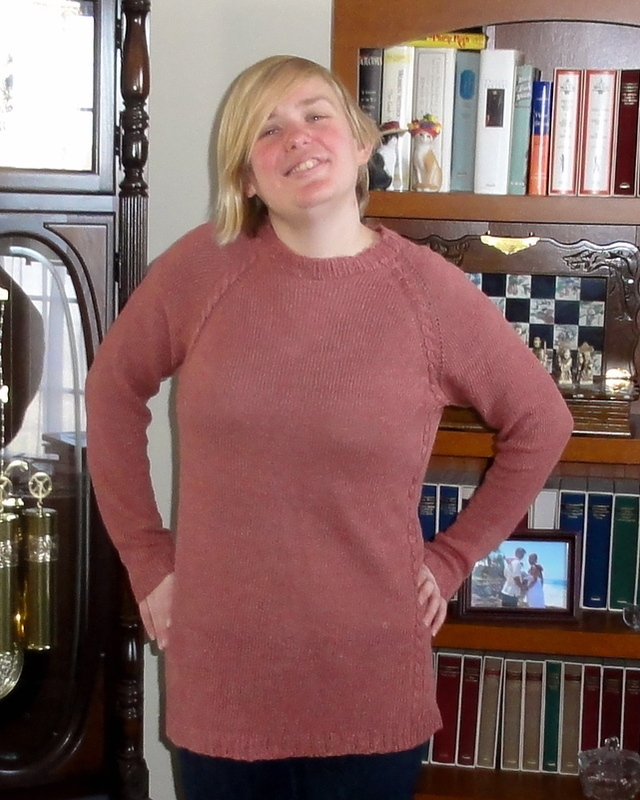 This entry was posted in Knitting, Socks, Spinning, Sweaters and tagged Bayside Pullover, Cassidy sweater, FO Friday. Bookmark the permalink. I LOVE my pullover. I had to force myself to stop wearing it every day, for fear that I would wear it out.The rest of your projects are coming along really nicely! If you wear it out, I’ll gladly make you another. 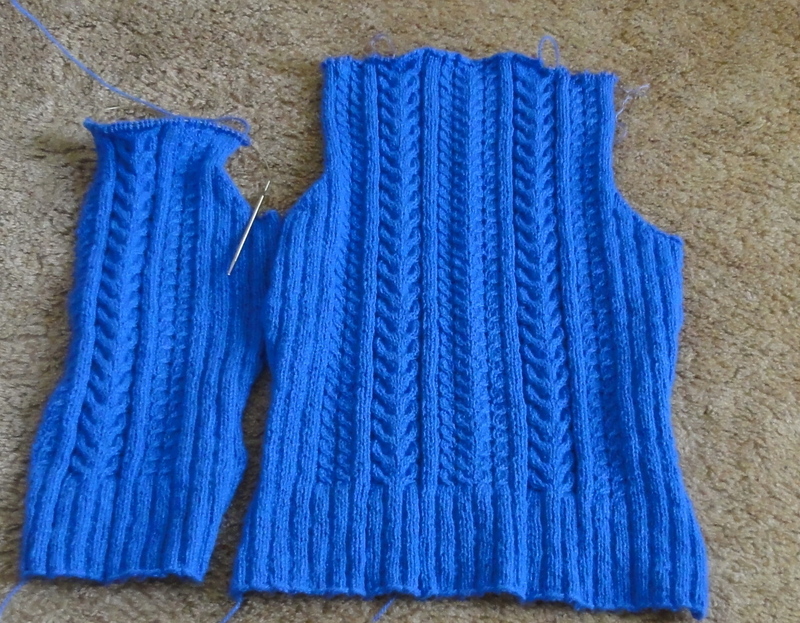 Heck, I’ll knit you another one in a different color if you want. 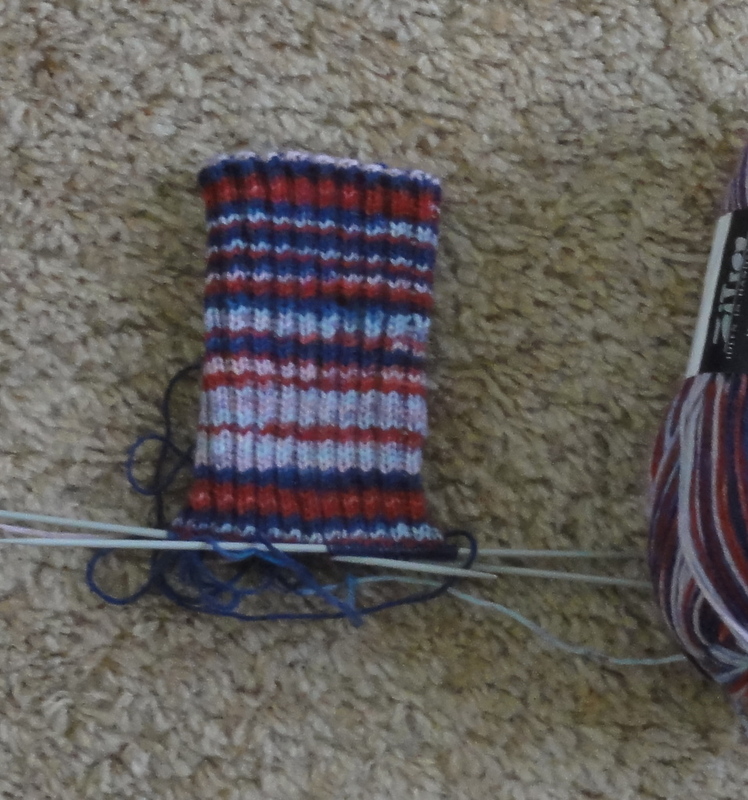 It was a lot of fun to knit. 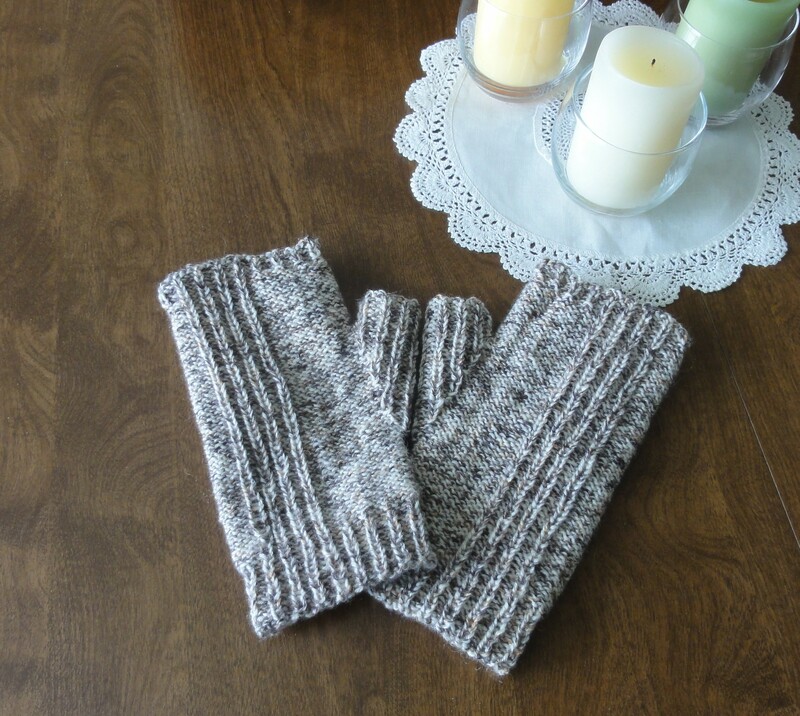 Wow, that handspun is seriously gorgeous! Lovely pullover too! 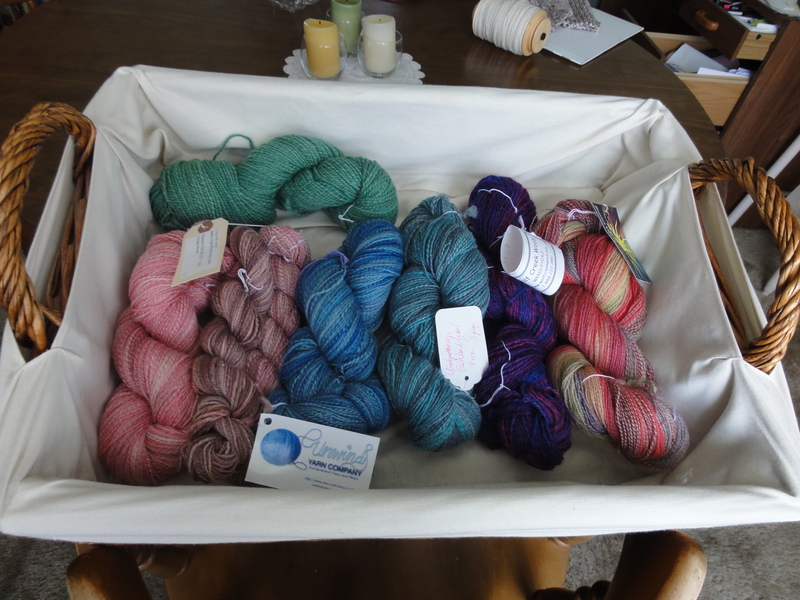 Lovely projects, gorgeous handspun. Thanks for sharing.